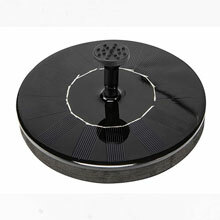 This solar birdbath pump is made up of highly efficient solar panels and new brushless pump. 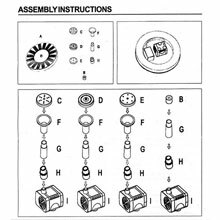 Easy installation and fast start up time. In addition, it floats on the water and has no electric outlet or external battery. Mosquitoes will not lay eggs in moving water. This classic solar fountain pumps is suitable for bird bath, small pond, garden decoration, water circulation for oxygen, etc. 6¼" diameter, 2" high. •ECO FRIENDLY: This solar bird bath fountain pump runs automatically, powered by the sun, no battery or electricity needed, saves resources and money. •EASY TO USE: Simply attach the pump base to the floating solar platform attach one of the 4 different spray head options and it is ready to use. Once the solar panel gains sunlight, it will run automatically within a couple of seconds. The brighter it receives the sunlight, better it works. 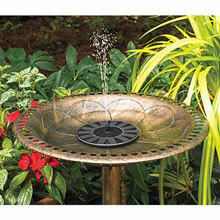 •DIFFERENT OPTIONS: This unique solar fountain comes with 4 different types of nozzle heads to create different water patterns. 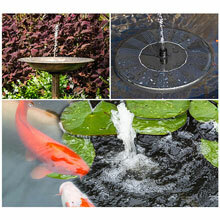 Create a unique water feature in your pond or birdbath. 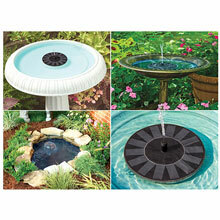 •MULTI PURPOSE: This solar fountain pump is perfect for outdoor bird baths, small ponds, garden decorations, or creating a water feature for you porch or patio. 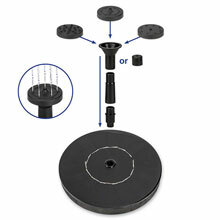 Will also aid in water circulation to increase oxygen in your koi or fish pond. 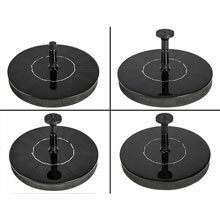 •CONVENIENT DESIGN: Make for simply cleaning, easily move to different locations, no plugs required, small, multiple fountain heads for different water patterns. 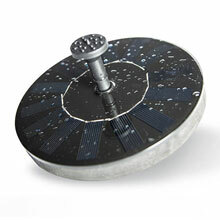 Works by just floating it on the water, it will run automatically once the solar panel receives enough sunlight.